Gacialpure water filter model# GPE-006 for Frigidaire WF3CB and PureSource 3 is more than a cheap water filter for your Frigidaire refrigerator – it’s an economical choice for superior water filtration at a quality price. Tested for safety and performance and backed by Glacialpure’s lifetime warranty – replacing your current filter with a Crystala fridge water filter just makes sense. Compatible with Frigidaire Pure source 3 WF3CB, Kenmore AP4567491, PS3412266, PURESOURCE3, 242069601, 242086201, 706465,242017800, 242017801, PS2364646, A0094E28261. IAPMO Certified and meets NSF/ANSI standards 42: Our water filter works with activated carbon to reduce odor, chlorine taste, dirt, rust, turbidity, heavy mental and harmful sediments while keeping original minerals that are beneficial to human health. Glacialpure brand Water Filters: Use state of the art technology to help remove Chlorine, Lead, Mercury, Cadmium, and Thallium. 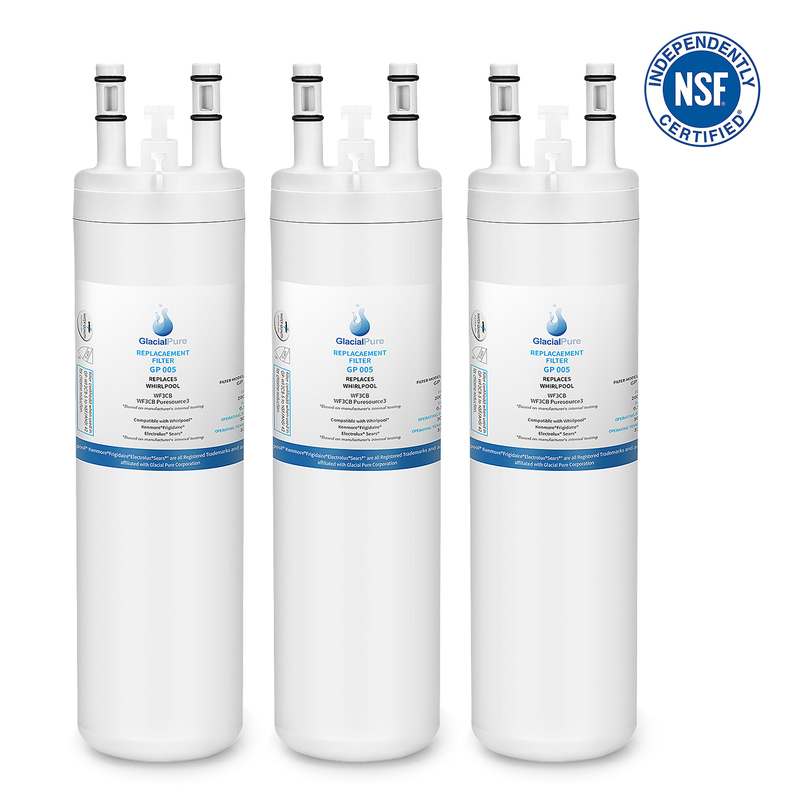 Six months water filter service life: The real filter life span depends on water quality and level of contaminants but for best filtration results, please Replace filter every 6 months or 200 gallons to maximize contaminant reduction. Easy and fast filter replacement: No tools of water turn off needed to replace cartridge inside the refrigerator, and it only takes a few minutes even less than one minute to finish installation. Seem to work just fine. The price is right as well. the water tastes great. Perfect fit. Thanks superfiltersotre for having the necessary filter for my new refrigerator! This was the perfect fit and just as described. Easy change out took seconds and I didn't have to wait in a long line at the home improvement store to obtain. As advertised true frigidaire product. Only 4 stars because I feel any filter like this is over priced! Better price here than in the stores though. It fit in nicely and takes a little time to get the air and new particles out but it is working very well. The one thing I would like to see added is a decal or something on the filter that reminds you when it's time to change the filter. I tried three other cheaper filters before this one. This is by far the best out of the four. The taste of the water alone is great. There are no left over flavors. We drink city (Boise ID) water. Love these filters saves us from buying a ton of bottled water and nice to have filtered water on tap for cooking. Our city cater can be kinda chlorine tasting and this makes it so so so much better. The next day is coming, cheaper than Amazon, free shipping. 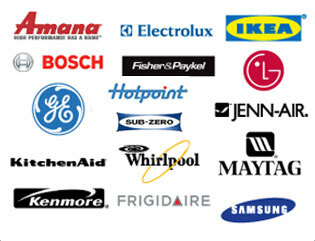 In addition, it is very important that if you have a warranty for using the recommended product, or the warranty may not be valid. I drank a lot of water from the water dispenser and it tasted good. The water filter I purchased soon arrived, and it was quick to install, and the product was great.In addition it is much cheaper here than in home warehouses or lowel and manufacturer pages. Reduce it by about $15 to $20. This is super easy to install and the instructions were very simple! It was set up in under a minute. I looked everywhere for this particular filter In my hometown stores and everyone was sold out. Superfilterstore had the price right, with fast delivery, right when I needed it. This is a good filter system; however, if I had known the cost of keeping filters in this fridge when I purchased it I might have changed my mind about buying it. I like the ease of changing the filter; as far as getting the filter through the mail in a timely manner I will give it high marks.